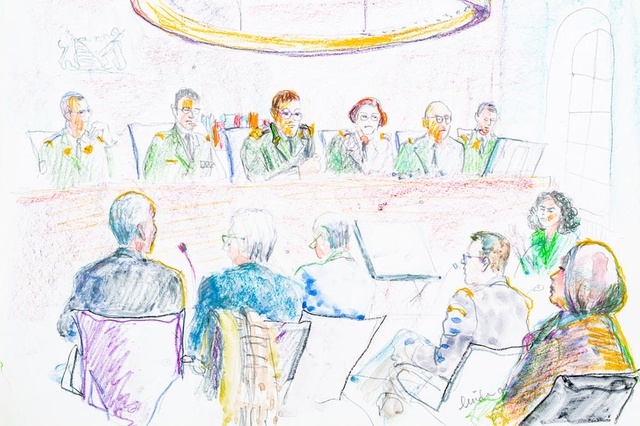 A military appeal court has upheld the guilty verdict against a Swiss border guard who was found to be negligent in a case involving the stillbirth of a Syrian refugee woman whom he was escorting back to Italy in 2014. On Tuesday, the Zurich court said the 58-year-old man was guilty of causing simple bodily harm by negligence and of failure to comply with the terms of his military service. The charge of attempted homicide, put forward by the prosecutor, was rejected, however. The appeal court thus partly upheld a verdict handed down last December by a Bern military court, which had found the border guard guilty of causing bodily harm by negligence, attempted termination of pregnancy, and repeated flouting of the terms of his military service. The border guard’s overall sentence was reduced: the court dropped the seven-month suspended prison sentence he had received, but his suspended fine was increased from CHF9,000 ($9,076) to CHF22,500. The guard had denied any responsibility in the stillbirth. What can past civil wars tell us about Syria and its road to recovery?